I like them. Clear and structured, in question-and-answer format. Today it was a great day. I flew a lot, and I am excited about that. I started with touch-n-goes in the home aerodrome, then a short flight to LKPLES with a 1640-feet-long and 15-metres-width runway. That airfield is pretty close to LKLN. I made a standard pattern, and on a base leg found out that I don’t have flaps. It is not very good idea to land without flaps on that short runway, and I decided to return. Our runway is very long for Cessna C150, therefore landing even without flaps is not a big deal – just a little higher speed and longer flare. The weather is great now. 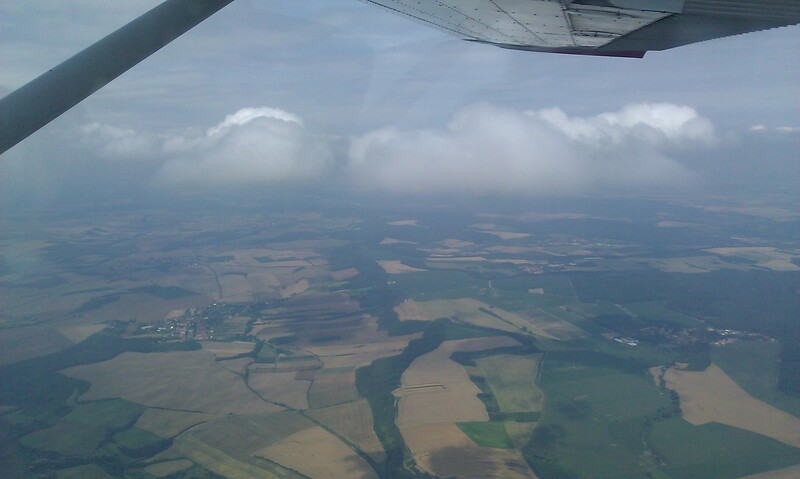 The sky is great, and I can see breathtaking landscapes from an airplane. I could see the scenes of terrific beauty. After about 2 pm the wind became stronger, and landings were some more difficult, but it allowed to make a progress. 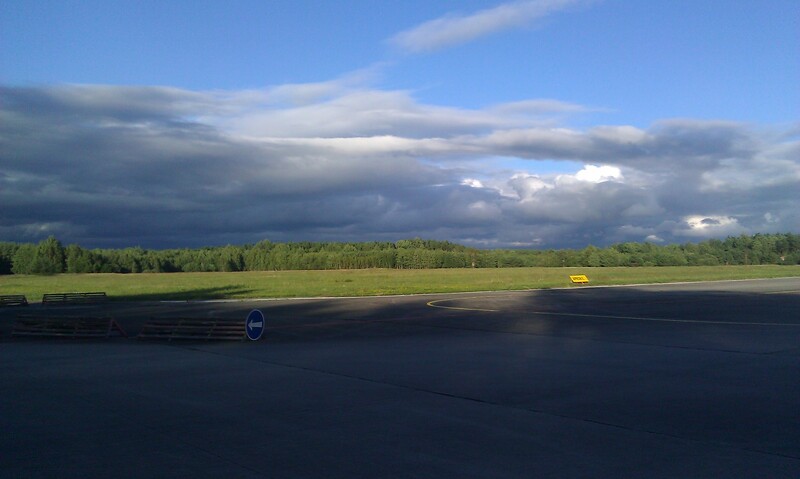 I can say that the clouds look differend from an airplane than from the ground. They are almost flat at the bottom, while from the ground they look like pieces of wadding. There were some weak thunderstorms far away, and they also look very interesting. On my way back I found a small house (actually a former windmill) where I was living some days in May. It looks even more cosy from the airplane. 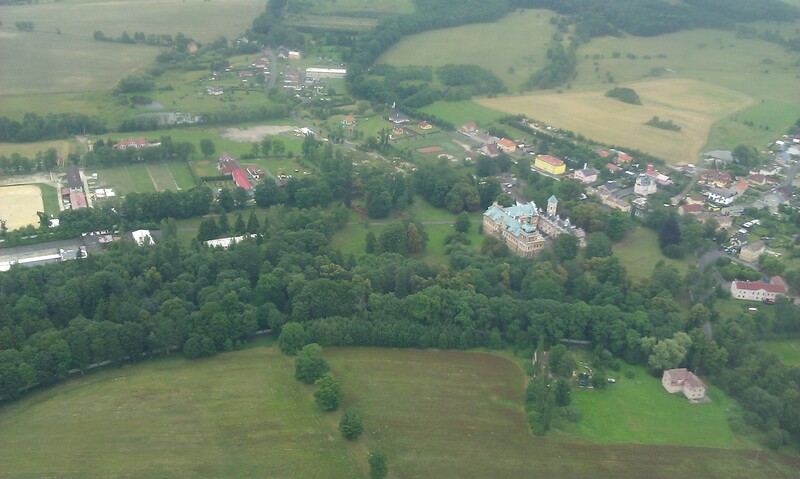 Actually there are a lot of beautiful places to fly here, including small villages and old castles. Today I finally was able to fly. 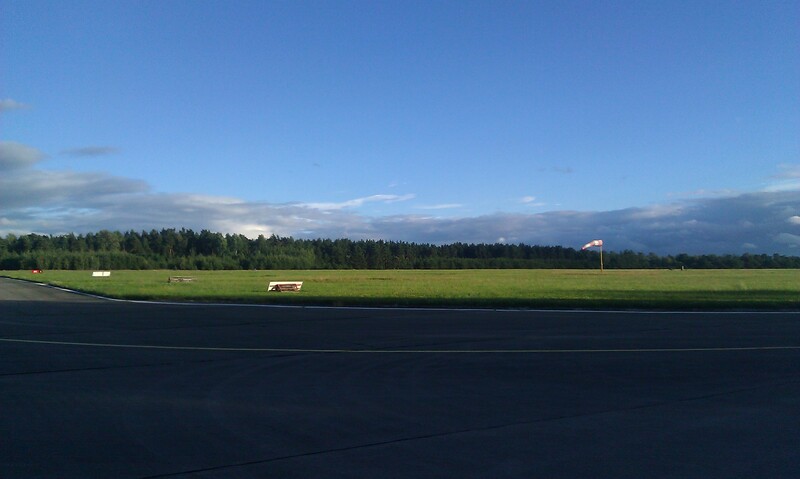 I know that landing and approaches are still my weak point, and today I practiced them a lot. I flew at six different airports to increase challenge. 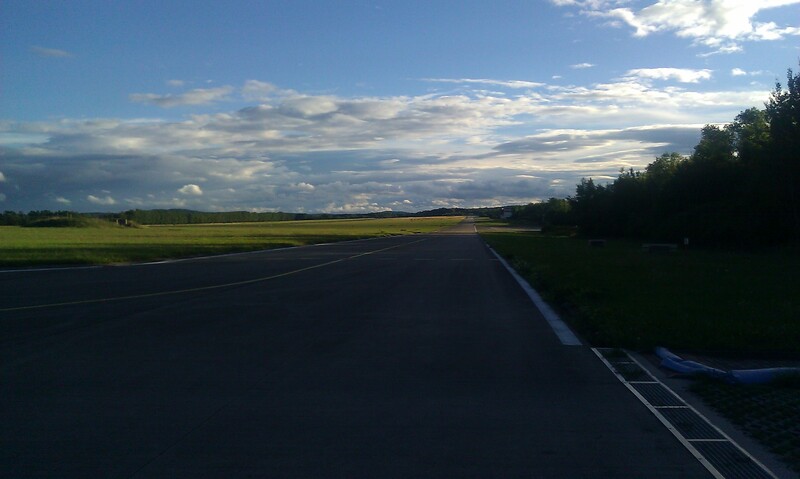 I was pretty good at my home aerodrome with a wide long runway, and so I moved to LKPLES, where the runway is 1640 feet, and its width is only 15 meters. It is still paved though. After my home airport it seemed tiny! All other aerodromes were with grass runways. Nevertheless, none of them is similar to others. I landed on a runway with a “step” where the airplane wants to jump like a kangaroo. I landed on another one which was downslope, and it was unusual that land goes further during the flare. I landed on a plain friendly runway. I landed on a rough short runway with a powerline and trees in the vicinity. It was a very interesting day. I am happy that I have time to fly again! I’d like to see some interesting places during my hour building, but I cannot find detailed information. Probably I have to discover it myself. For example, there are very beautiful mountains in the Northern and Southern parts of Czech Republic, and I am going to visit them. After about 2-months break I continue my practice. The school allowed me to fly only with a safety pilot. 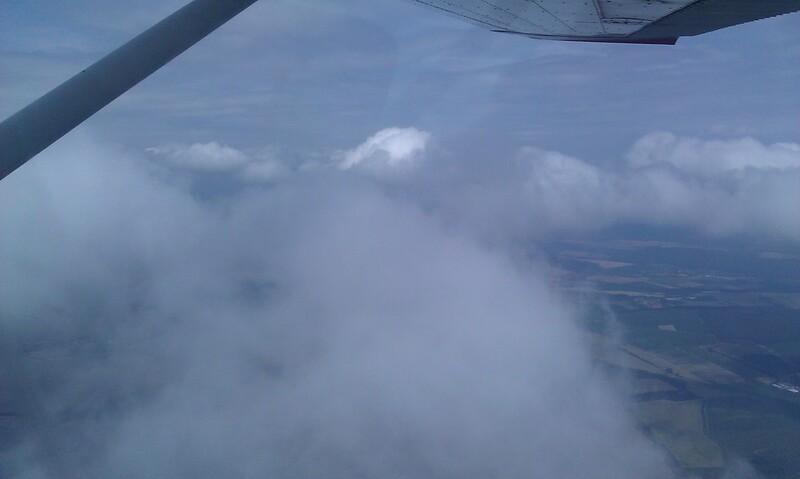 We made a normal take-off, standard pattern, and on a base leg we caught very strong downdraft. I started preparing to a go-around procedure, but on final everything was OK, and I made a normal full stop landing. Safety pilot did not want to take off again today, and so did I. It’s safer to wait for a better weather. In the first (written) part I had to define some terms like “straight-in approach”, “jet stream” or “alternate current”. I did not find any unfamiliar terms, and it was harder to express it than understand. After that I had to unfold some abbreviations. 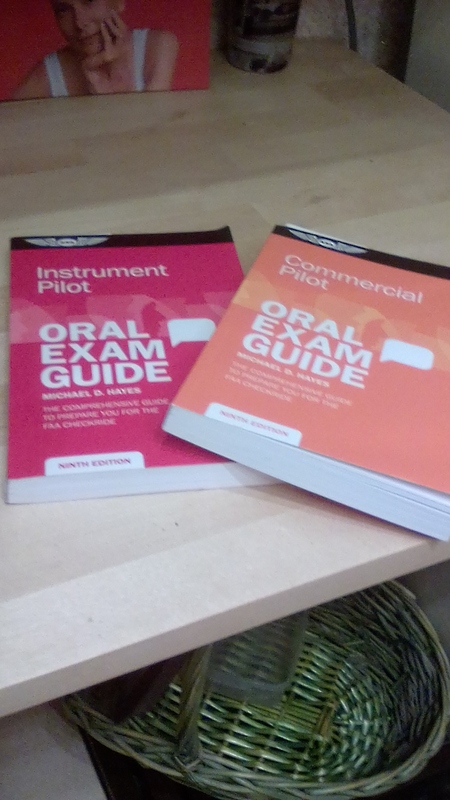 In the second (oral) part I described approach plates (RNAV and ILS) and answered some questions about them, and finally there was a simulated communication with ATC. 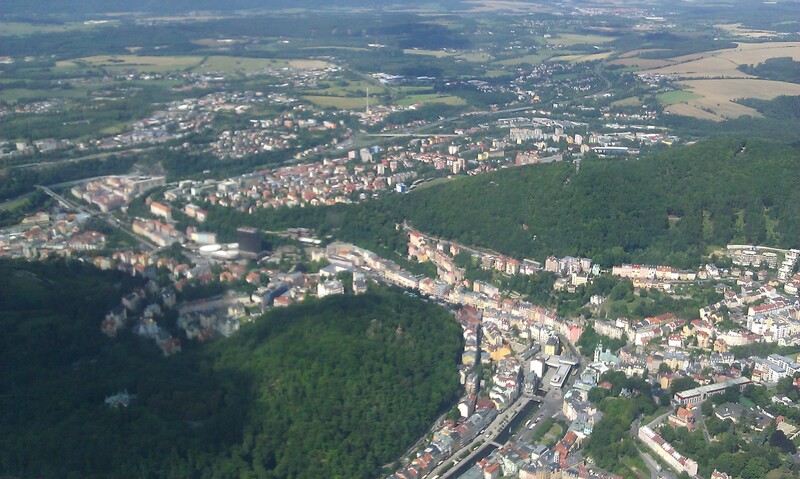 We flew to Karlovy Vary, a famous spa resort in the Western part of Czech Republic. 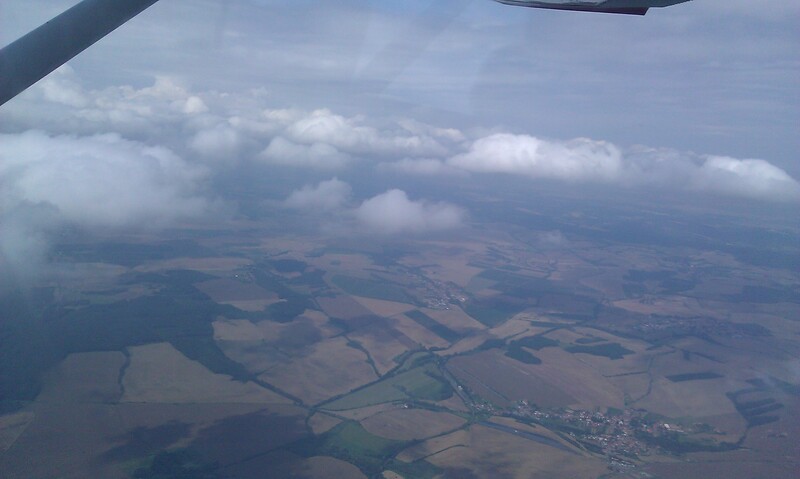 Of course, we flew there not because of spa but because of the ILS at the airport. We made ILS and RNAV approaches. I am happy that I understood a lot during the flight, and I hope that I will feel more confident when I pilot the aircraft. At least I found a proper parking space near the CAA. When I had come to take my exam two months ago, I found only P13 “reserved” places. I did not know whether the spots were reserved for the CAA or not, and whether it was legal to park there. In any case, I decided not to take chances, and found another parking area in a mall, in about a 15-minute walk. 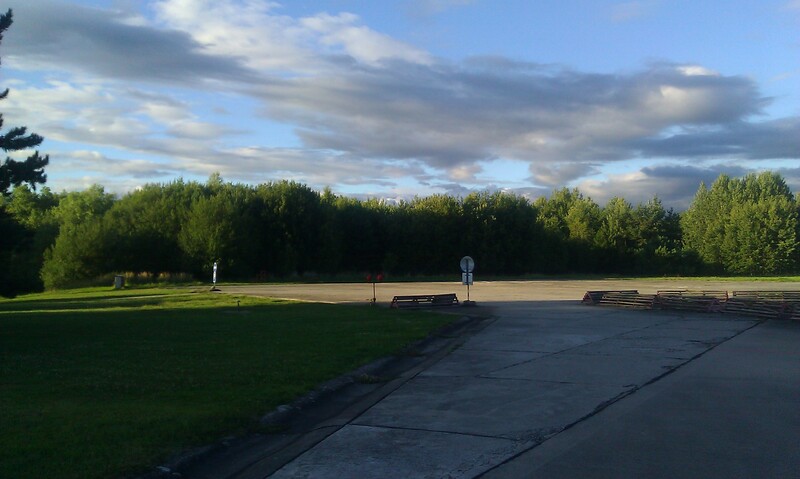 Today I came just to finish some paperwork, and that’s why I wanted to park somewhere near the building, and I found it. It is P11, which has a barrier and tickets. Strictly speaking, I am done here, and I can return home, but I drove more than 2000 km, and I’d like to do more than just obtain my papers. That’s why I decided to stay a bit longer, and fly some additional hours. I headed to Czech Republic for my PPL. I passed my checkride in May, and my documents are ready now. I think I could ask for mailing them, but I decided to pick them up by myself. There were two reasons for that: I want to obtain 1st class medical, and I enjoy traveling. I figured out that I cannot schedule an appointment in Czech for my medical until August, 14, therefore I would not sign up for any ground school now, but it gave some more time for preparation and schools research, and I found some Polish institutions. They have the same terms as in Hungary, but they are cheaper. I think I will make my 100$-hamburger-flight during this trip, because I don’t want to drive over 4000 km just to take my papers. Anyway, I need more flight time, and I miss flying. After some studying I am not so bad in Aircraft General Knowledge. My result is still not perfect, but I have more than 80%. I am going to continue, but now it’s time to start a new subject. I chose Meteorology as the most difficult one for me as it mostly requires knowledge compared to, for example, Navigation, where I can solve lots of questions by computation. Meteorology looks like a nightmare for me now as it contains lots of information and bunch of new terms. I had to refresh my knowledge in Geography as well. Nevertheless, it is very interesting, and I am happy that I can understand what happens in our atmosphere much better. Now it is not just beautiful clouds there but logical physical processes. Some years ago I learned some of that information in my hanggliding course, but we did not consider high altitudes then.